A date and time for collection will be confirmed on enquiry. Our van driver will always collect your fur garments from your home and will be transported back in breathable garment bags. They are then taken to our discrete, secure storage facility and appraised for any small rips, tears, holes in pockets and loose hooks. We will quote for any extra services and carry them out at your request. Each client receives their own private Web Wardrobe with a detailed description and photograph . The Web Wardrobe enables you to browse through your garments in storage at any time, or simply request deliveries and collections 24/7. 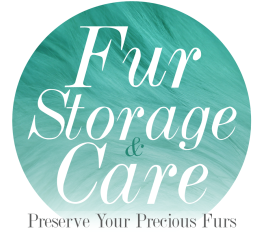 Cold Storage: The furs are then transported to a secure, temperature and humidity controlled facility. We have a fur expert with over 50 years of expertise on hand to advise. When requested through the Web Wardrobe or by telephone, the furs are then delivered straight back to your home by our trusted van driver at your convenience. Our driver will collect and deliver straight to your door, the cost for this service is £40.00 +VAT each way. We require 3 business days’ notice for delivery/collection, any deliveries/collections under 3 business days’ notice will cost £90 + VAT. Cleaning & Brilliantising is an expert service especially for furs, carried out by our professional furrier. The condition of the coats are firstly checked inside and out to see if there is any moth damage or repairs that are needed before next stage. The linings are then refreshed with being cleaned by hand with a specialised liquid solution. A cleaning solvent that acts like sawdust is then used, and is massaged into the fur to remove traces of moth activity, dirt and excess oils from the fur. The fur is then put into a large drum and tumbled. After being tumbled, the fur is then vacuumed to remove the remainders of the sawdust solution and is steamed to moisturise the fur. The final stage is called ‘Glazing’, this is when the fur is gently pushed through an ironing machine that uses moving rollers. Each hair is lifted, separated and laid into a uniform direction giving the fur a neat and glossy new look, ready to be worn. Cleaning furs can only be done by a fur specialist and should be cleaned frequently, depending on usage. Please click on the button below to find out about our prices.